Alex Stepney is a decorated former goalkeeper who played with top flight teams and saw plenty of success, and is now a popular after dinner speaker who recites plenty of amusing and informative tales from his time in the game. Alex’s long career started off truly at grass roots level with his school team, then the district side, then both Surrey and London schoolboys. After then going on to play amateur Soccer for local team Tooting & Mitcham, Alex continued to make his way through the ranks and eventually went from the youth team to the first team. From there he was signed up by Millwall and then joined Chelsea in 1966 for £50,000. 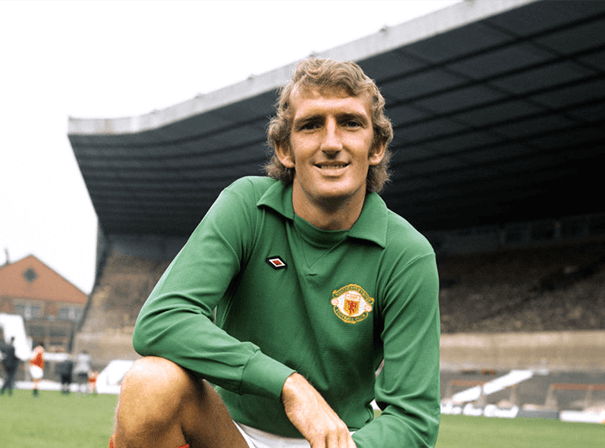 Eventually, he ended up playing for one of the biggest clubs in the world: Manchester United, and went on to make over 500 appearances for United, keeping 175 clean sheets in that time, Impressively, he also managed to score twice, both times from the penalty spot in 1973. A highly talented keeper with great agility, Alex Stepney became a coach specialising in goalkeeping after he stopped playing, and did so with Manchester City as recently as 2000-01. As such he is a popular and experienced after-dinner speaker with an inside track on Man United who currently hosts The Legends Soccer Phone in on 105.4 Century Radio in Manchester.